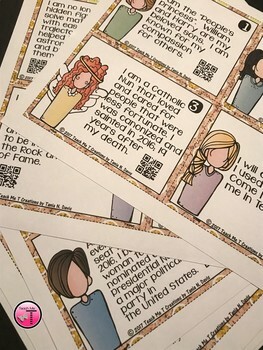 Women in History Scoot or Task Cards with QR Codes Deepen your students' knowledge of the contributions and achievements of living legends and trailblazers in women's history in a fun and engaging way! 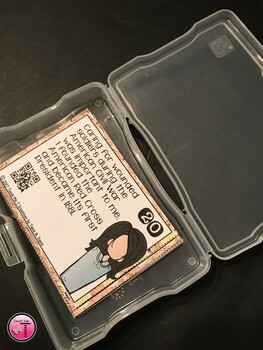 This set of 24 task cards features a fact about each featured individual that acts as a clue for students to solve. This resource is a great addition to your Women's History month lessons, and would also be a great way to lead discussions and create research opportunities throughout the course of the school year. 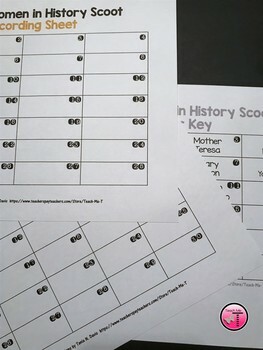 What a wonderful way to teach unfamiliar parts of history or to learn how much your students already know! 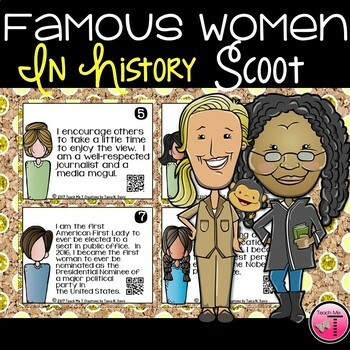 • I have included 3 different Recording Sheets to help accommodate the additional Task Cards that you may be interested in downloading from the Famous Women in History Scoot Freebie. The link is below. If you find this activity to be beneficial to your students, please return to the product listing and leave feedback for me. This will help me to know how you/your students enjoyed this product. It is also a great way for you to earn TpT credits towards the purchase of additional products from my store or from other Sellers.